In order to address the most common complication of diabetes-which leads to the most severe result of blindness -The All India Ophthalmological Society (AIOS) and Indian Medical Association (IMA) is organising screening camps. In other words, the two organizations have come together to set up 15 different centers to help detect and diagnose the most common diabetic complication. Under the combined free-service offer, diabetics in the city can now head to 15 such different destinations to detect diabetic retinopathy. This initiative will help in addressing the complicated problem of diabetic retinopathy; as a result of which close to 60 lakh Indians are reported to suffer annually from blood vessels of the retina being damaged. Participating in this initiative are clinics at ophthalmology departments of hospitals like Saifee in Charni Road, Hinduja in Mahim and Somaiya in Sion will hold checks to see if blood vessels that nourish it are healthy, as confirmed by a report in the Times of India. 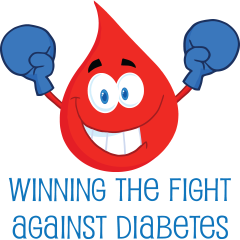 “We aim to screen up to 25,000 diabetics a week,” said Dr Quresh Maskati, national convenor of the clinics. The program has also garnered support from celebrities, including actors Siddharth Malhotra and Karishma Kapoor. Dr Marthanda Pillai of IMA said doctors will be sensitized about retinopathy to motivate patients for checks. AIOS has set up a website (dr.aios.in) for screening centre info.